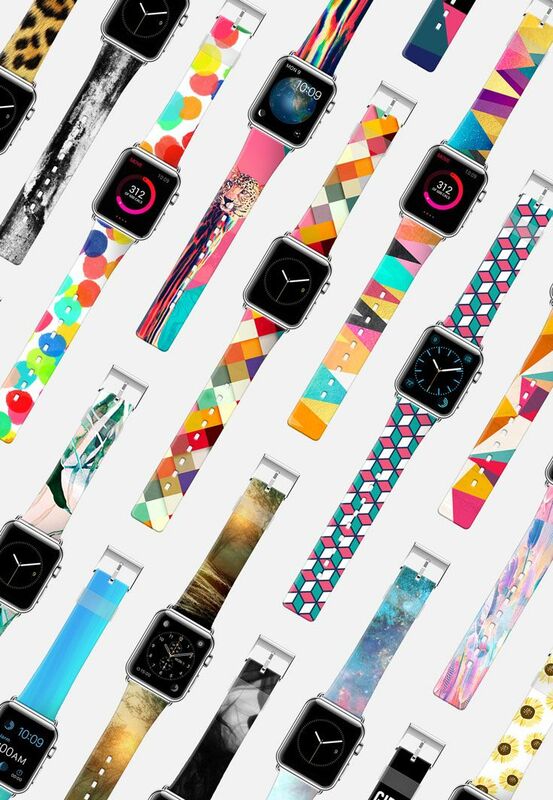 Color me excited about the third-party Apple Watch bands that are finally starting to roll out. 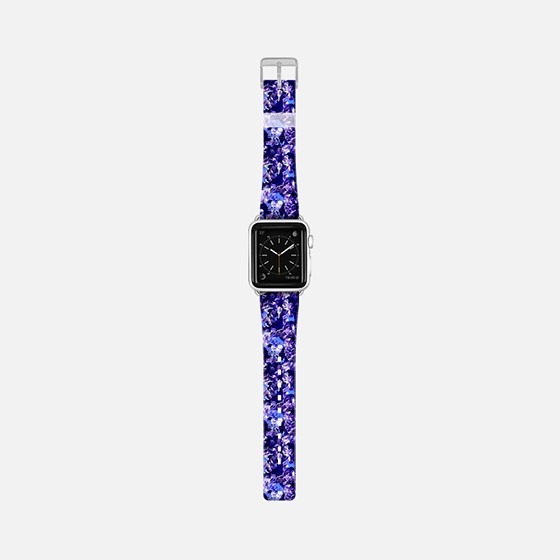 Apple calls the Apple Watch its most personal product yet, but as a woman, I find the customization options available with Apple’s bands to be somewhat lacking. Most of Apple’s bands look like they have been designed for men. 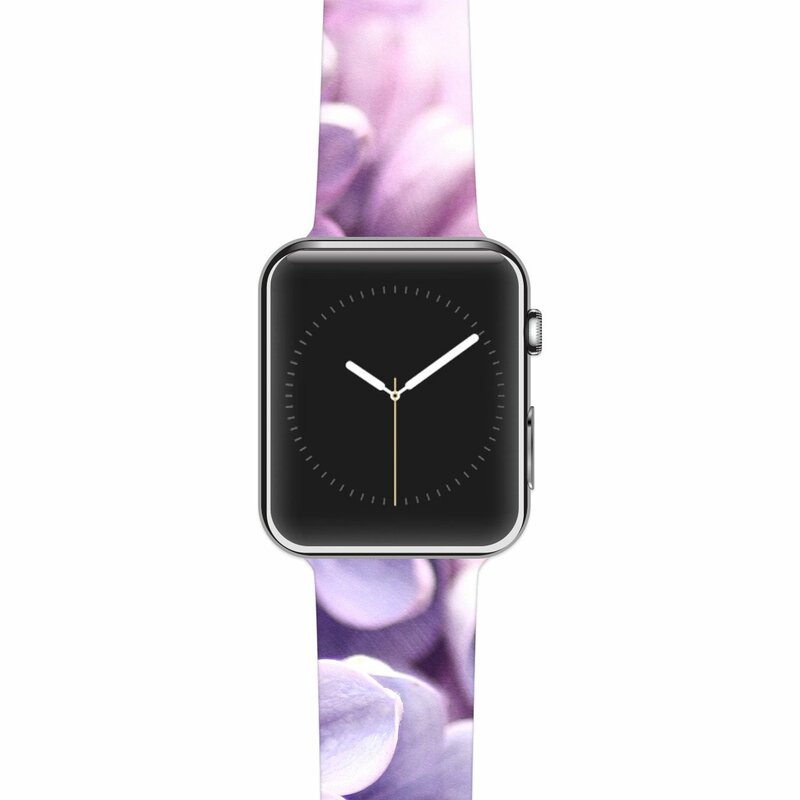 In fact, I was initially hesitant to buy an Apple Watch for just that reason – it just looked too masculine for me. I finally ordered mine with the white Sports Band, which is gender-neutral enough that I don’t feel like I’m wearing Daddy’s watch. But still, I have been scouring the Internet for more options. I was thrilled when Apple released guidelines to third-party companies, and a whole new world of creativity opened up. This rainbow roundup of bands is sure to appeal to a variety of tastes, both for men and women. Unless otherwise noted, every watch band is available in both watch sizes, 38mm, and 42mm. 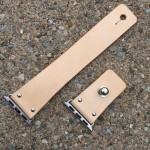 I’ve already had the pleasure of reviewing the customized leather MakerGrafix band. Italian leather bands are “tattooed” on the inside with the artwork and text of your choice. 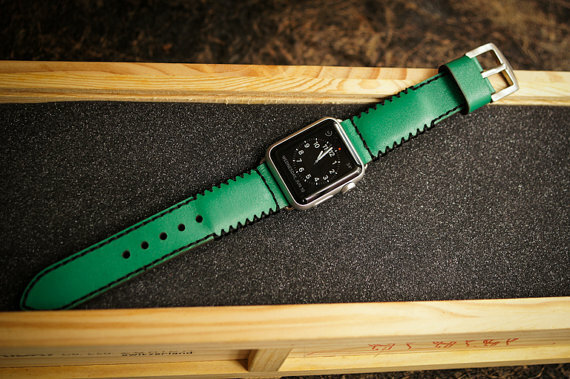 It’s similar in style to Apple’s Classic Buckle but substantially less expensive. Choose from four colors: black, brown, red, or white for $49.99. Currently, you can order your MakerGrafix band with black or silver stainless steel adapters. 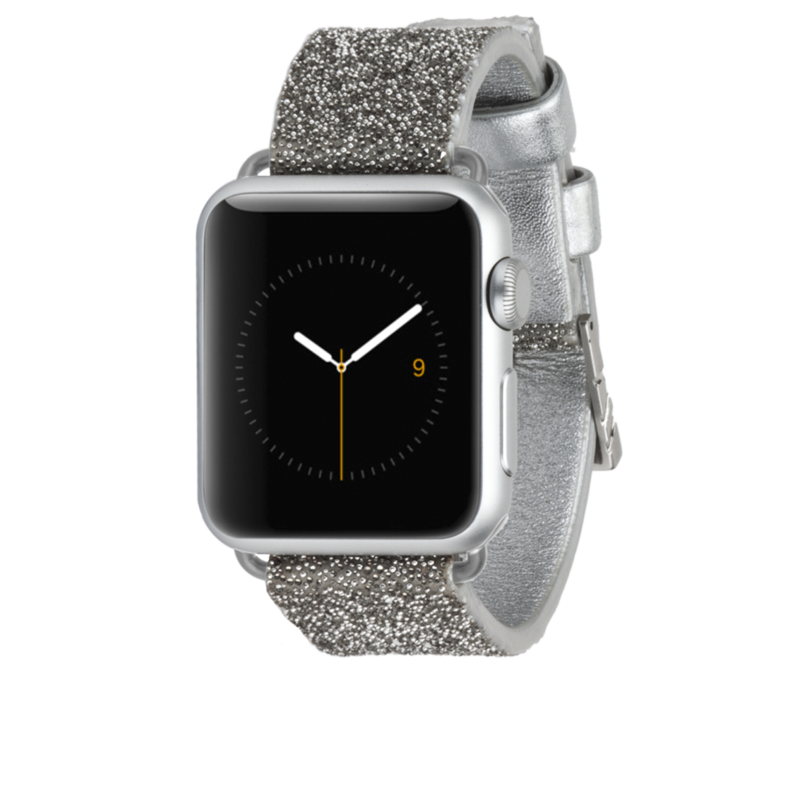 Brushed aluminum, in both silver and space gray to coordinate with the Apple Watch Sport, is coming soon. 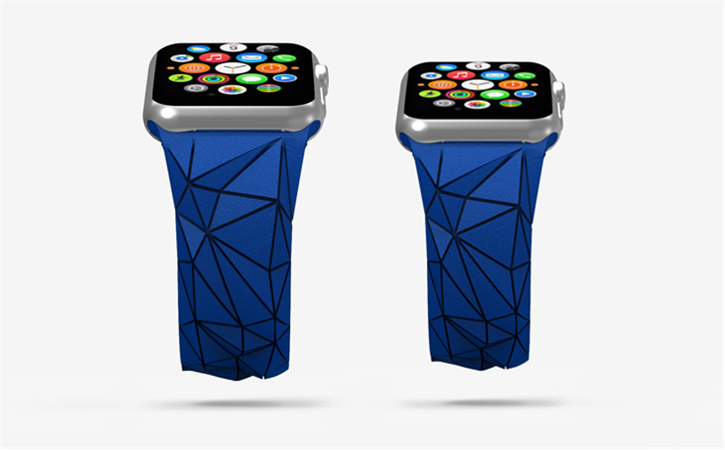 Lucrin offers an incredible rainbow array of high-end leather bands for the Apple Watch. The basic style is similar to Apple’s Classic Buckle, however, the variety of options is anything but basic. This is not the band for bargain hunters, but if you want something special, you’ll want to check out the fantastic selection of colors and leathers. There are 30 different colors to choose from, ranging from subtle neutrals to bold colors. Also, there are different leather choices, each at a different price point: smooth, granulated, goat, and real ostrich. Adapters come in shiny silver or space black shades. 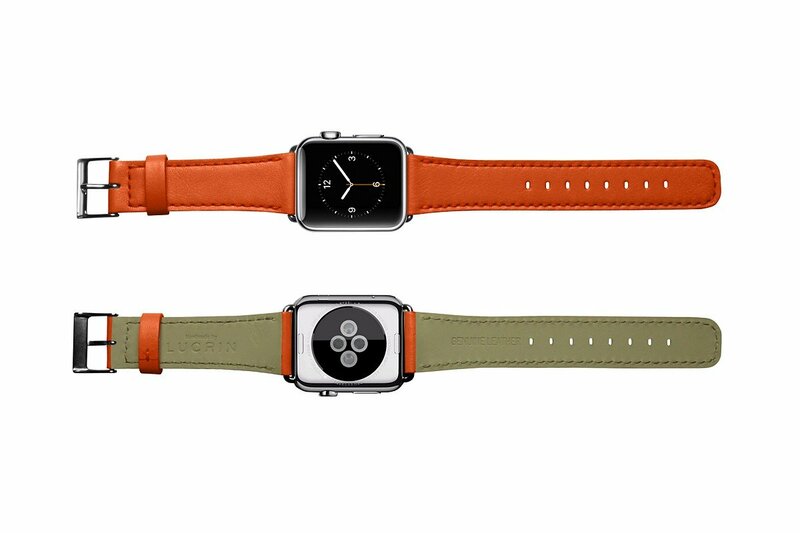 Prices range from $166.63 to $255.75, which is on par with Apple’s leather band prices. 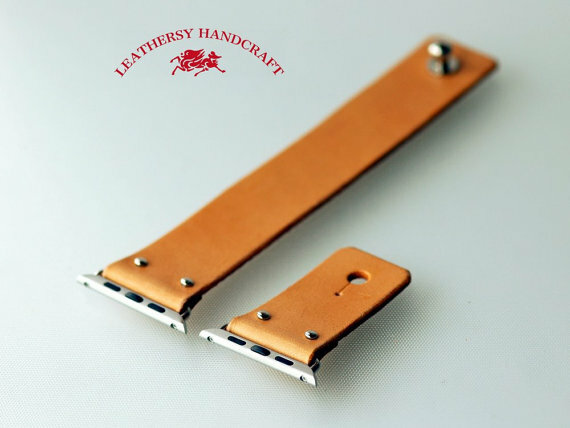 Leathersy on Etsy brings “Handmade Vegetable tanned genuine leather craft in Minimalist & Zen style.” These stylish bands will not be confused with Apple’s offerings. Inserted is a single peg into a hole punched to your exact wrist size. The original leather color above starts out yellow but develops a natural brown patina with time. Or, select coffee, navy, black, or a reddish amaranthine shade. The adapters come in shiny silver to go with the Apple Watch stainless steel version; or choose frosted silver or space gray to go with the Sport. These run $85. This eye-catching green is only one of the utterly unique handmade leather options from BlackForestAtelier on Etsy. 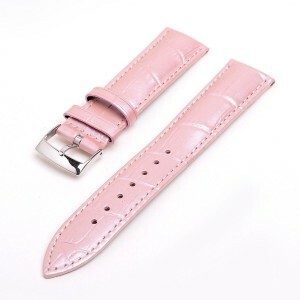 The vintage leather bands are available in numerous colors and styles for $89.90. If those don’t stand out enough for you, there are also ostrich, frog, and python leather bands ranging in price up to $109.90. The adapters are a shiny silver color. On the complete opposite end of the style spectrum, you’ll find this futuristic offering from Cubify. These bands are 3-D printed in flexible nylon. 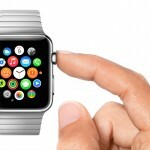 No adapters are needed, as they slide directly into the watch like Apple’s Sport Bands. Four different styles and four different colors (black, gray, pink, and blue) are available for preorder at $39.99. 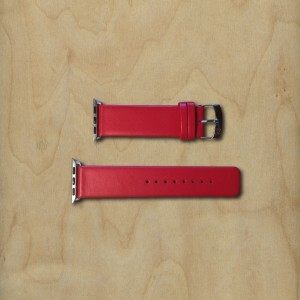 Casetify was one of the first companies to offer third-party watch bands. These lovely, sporty bands bring me back to my Swatch-wearing days. Choose from a variety of artist’s designs, or create one with personal photos or artwork. The bands are made from “high-performing, sweat resistant, durable polycarbonate.” The adapters are made from stainless steel, but the only colors currently are matte silver and matte black. Casetify’s bands are $70, but I’ve seen some discount coupons on the Web, so be sure to search for the current one before ordering. Similar in style to Casetify, these wearable art bands from Kess offer a seemingly endless array of colorful designs by featured artists. No adapters are needed as they slide directly into the watch. These sporty bands are the most bargain-priced on this list at just $34. Currently, they’re available for preorder, shipping June 30. Sykla offers two different leather styles (snake and alligator) in five different colors (black, brown, white, red, and pink) ranging in price from $54.99 to $63.99. Adapters are available in stainless steel, matte silver, and matte space gray. 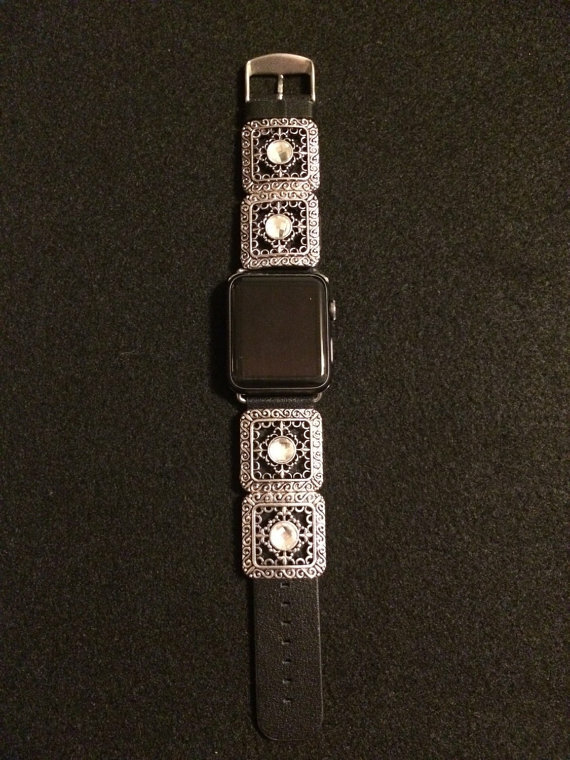 Sykla plans to offer their version of Apple’s Milanese Loop soon. Case-Mate’s offerings will make a bold fashion statement. Whether bold is beautiful is up to you, the beholder. See all of the unusual styles for yourself. The offerings differ by size. The 38mm models tend to skew female, while 42mm models are more masculine. The adapter colors vary by style while some styles don’t even need adapters. Ranging in price from $35 to $80, these bands will be available soon. TrackerStackers on Etsy was already tricking out fitness trackers before the Apple Watch was on the scene. Branching out to Apple Watch only seemed natural. So far, the beaded Stella design is available on a leather band in black, navy, red, or brown with stainless adapters for $64.99. More styles are coming soon. Even though Pad & Quill doesn’t have pictures of their upcoming Apple Watch bands up yet, I had to make mention of them here. Call it a bonus eleventh option. A quick perusal of their site shows the beauty and craftsmanship they bring to all kinds of accessories for electronic devices. Sign up to be among the first to hear about their new leather Apple Watch bands. Stay tuned in the upcoming weeks and months. I’ll be reviewing some of these bands as I can get my hands on them.